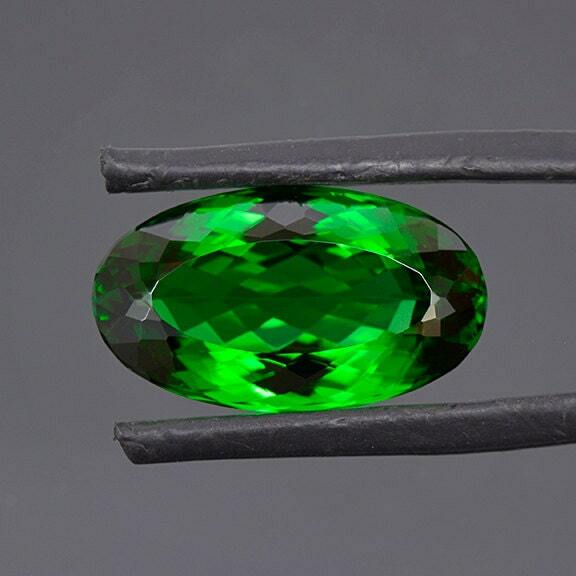 World Class Green Chrome Tourmaline Gemstone from Tanzania 12.54 cts. Size: 19.01 x 11.16 mm. Here is a museum grade Chrome Tourmaline! 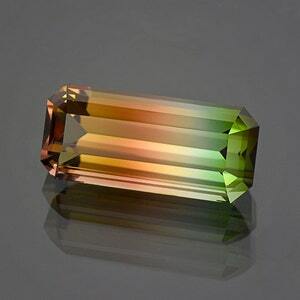 One of the rarest varieties of Tourmaline is the Chrome bearing variety, which is a shame because it is just so beautiful. This stone displays a vibrant deep Emerald green color that is so rich and absolutely enchanting. 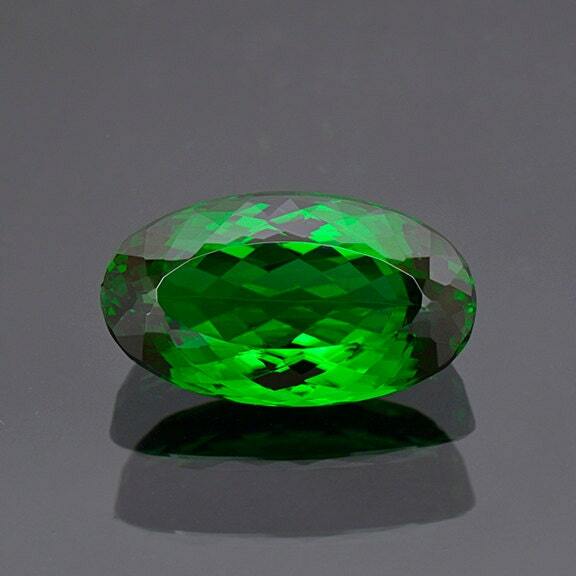 The stone has an elongated Portuguese oval cut that glitters beautifully with neon green flash. The clarity of this stone is excellent and just water clear! Chrome Tourmalines are highly sought after on today’s market and the best material to ever come out of the ground is from Tanzania. This stone has an “Open C”, meaning that along the c axis of the crystal there was great transparency. 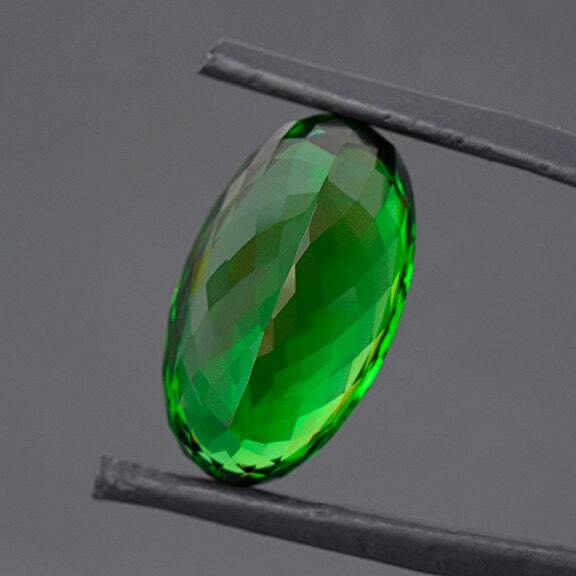 This axis runs long ways down the oval shaped gem and when the stone is rolled in the hand you don’t have a dark side or end that can make these Tourmalines extremely deep color with little light return. This is practically the most desirable color and quality for a Chrome Tourmaline. What is incredible about this stone is the size. 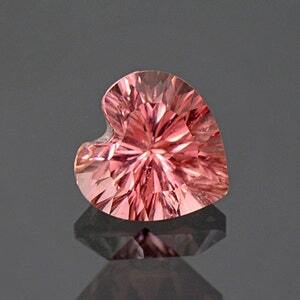 It is over 12.5 carats which is large, but in this quality it’s world class! Enjoy! Excellent seller !!! Good communication !!! I am very happy, the stone is fantastic and so beautiful. And the pendant is so nice. It's a very good job. Thanks so much Brett !!! 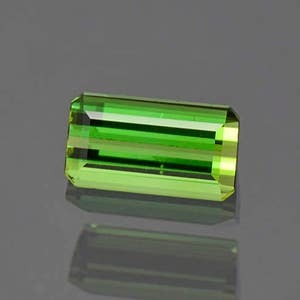 Lovely Vivid Green Brazilian Tourmaline Gemstone 1.45 cts. World Class Multicolor Tourmaline Gemstone from Mozambique 25.85 cts. 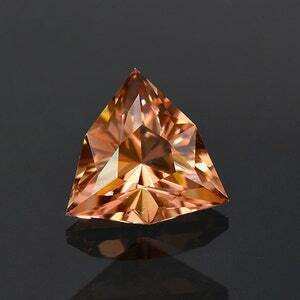 Unique Peach Sorbet Colored Custom Faceted Tourmaline Gemstone from Nigeria 2.17 cts.